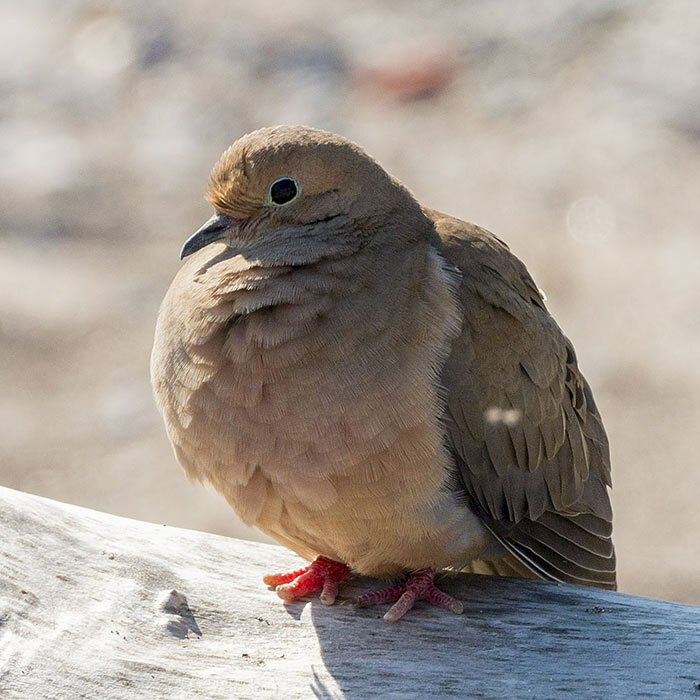 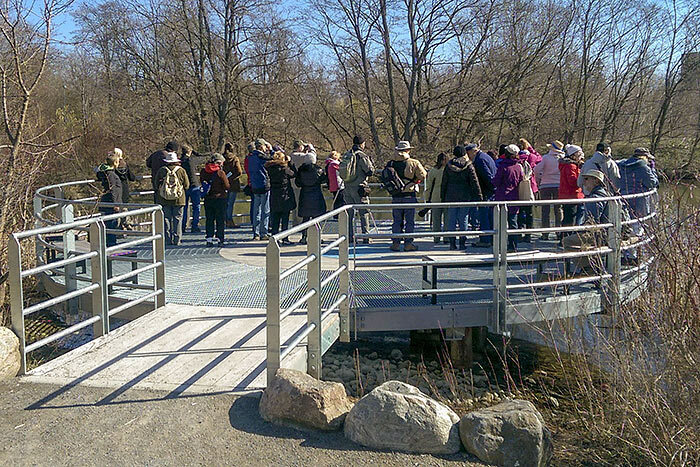 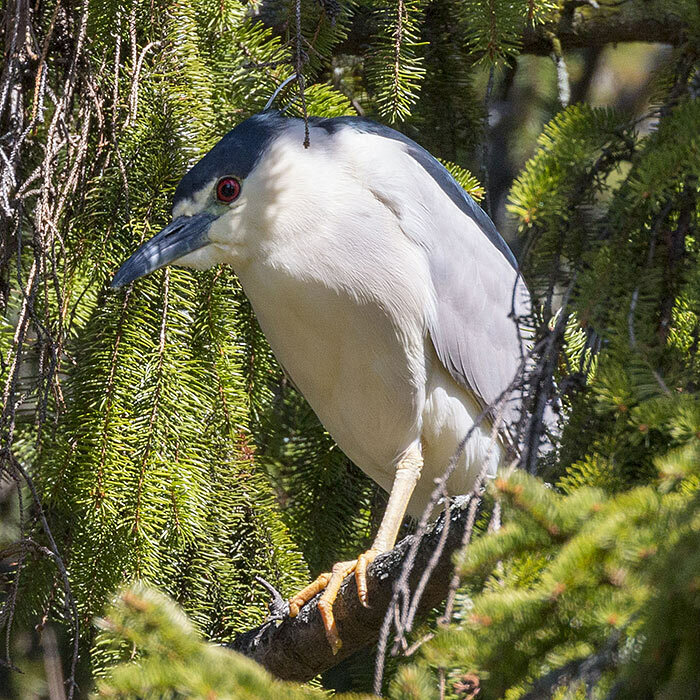 Bob Yukich lead our April 23 Bird Walk at Colonel Samuel Smith Park. 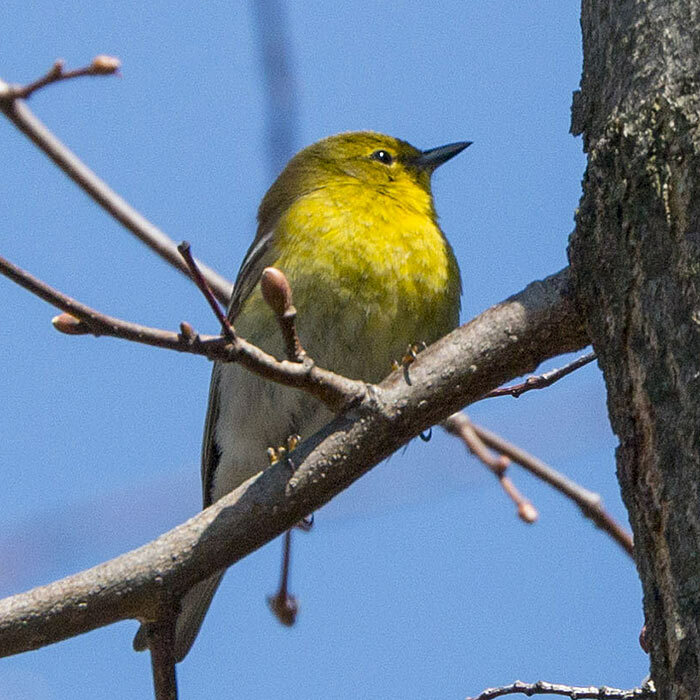 It was a bright sunny, but cool day. 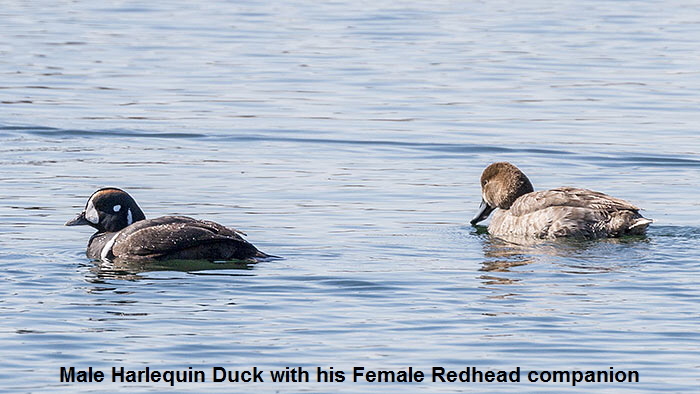 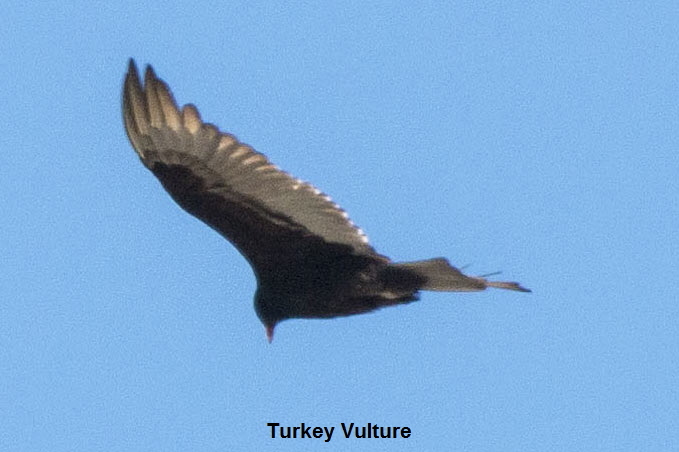 Although the number of birds was fairly low, the diversity of species was impressive. 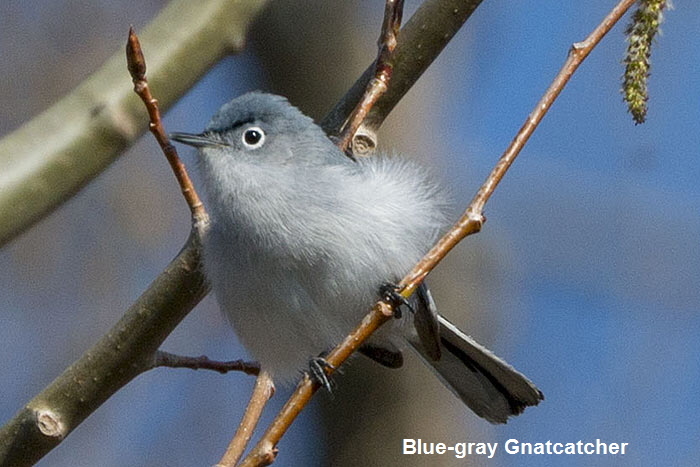 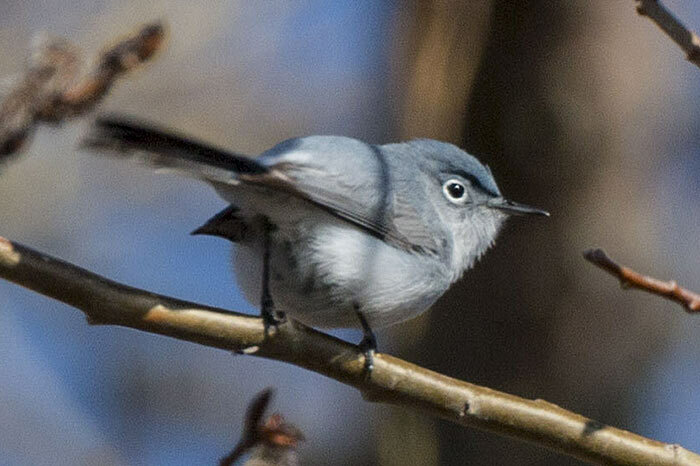 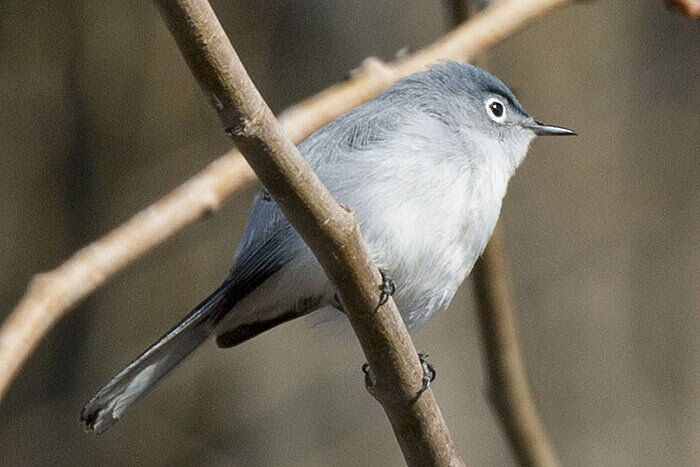 A very cooperative Blue-gray Gnatcatcher near the beginning of the walk, perched out in the open for all to see. 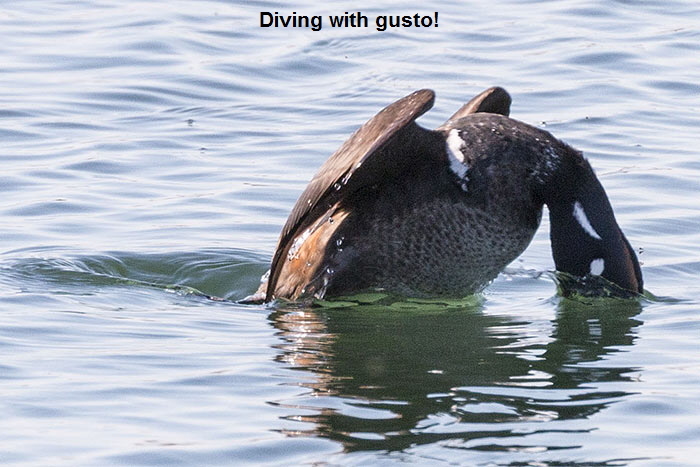 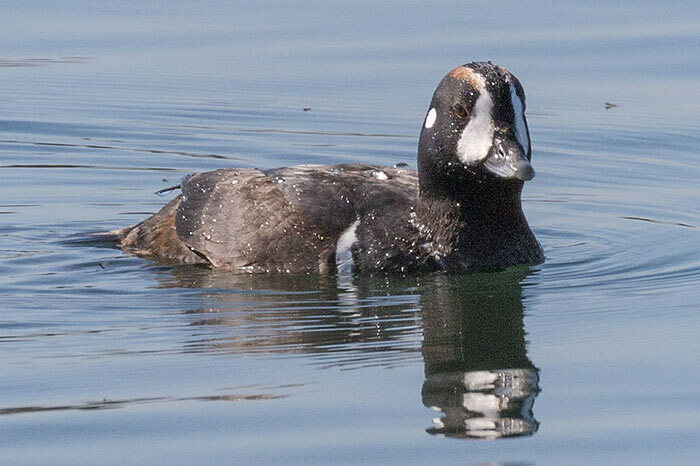 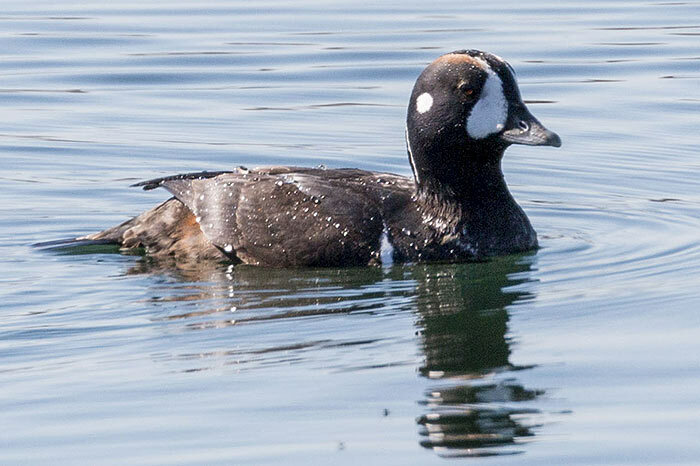 The long-staying Harlequin Duck also provided great views. 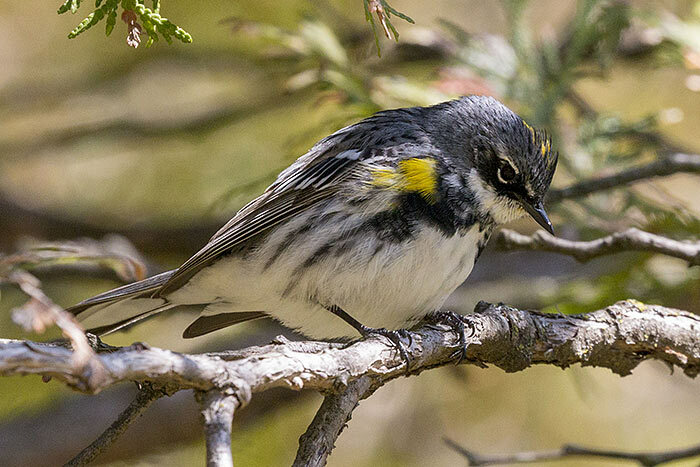 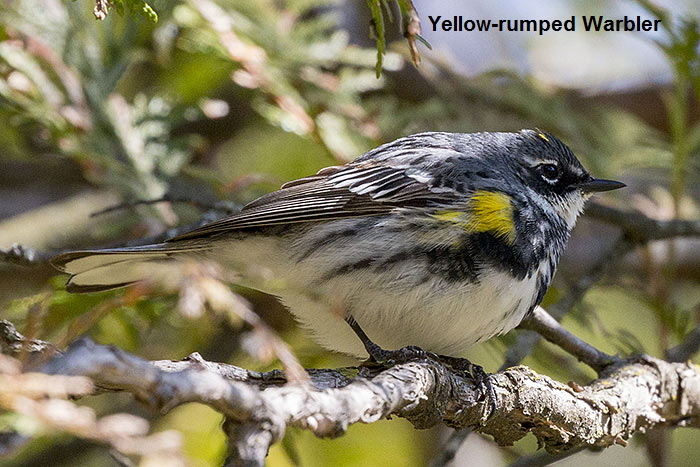 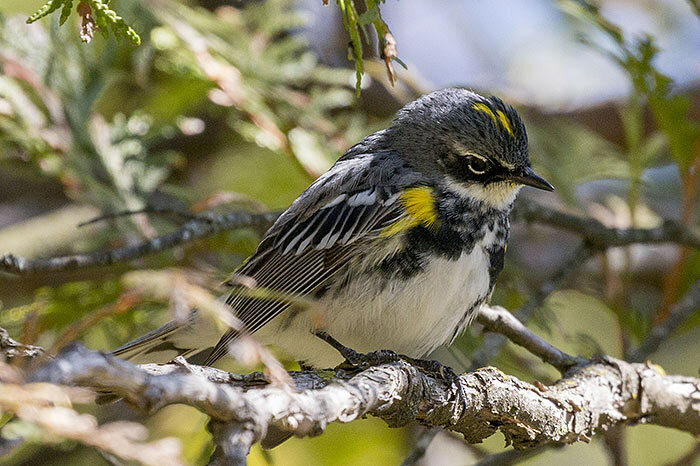 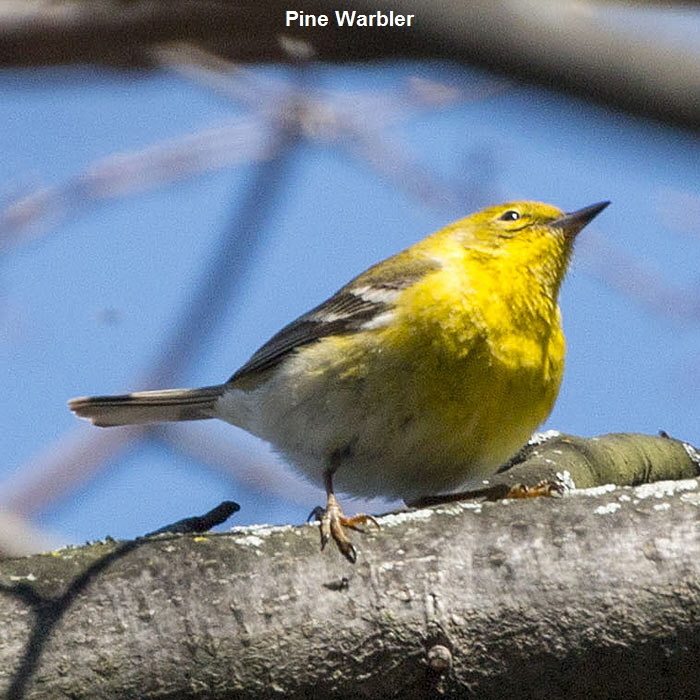 There weren’t many warblers around yet, but a few Yellow-rumped and Pine Warblers cooperated for good views as well. 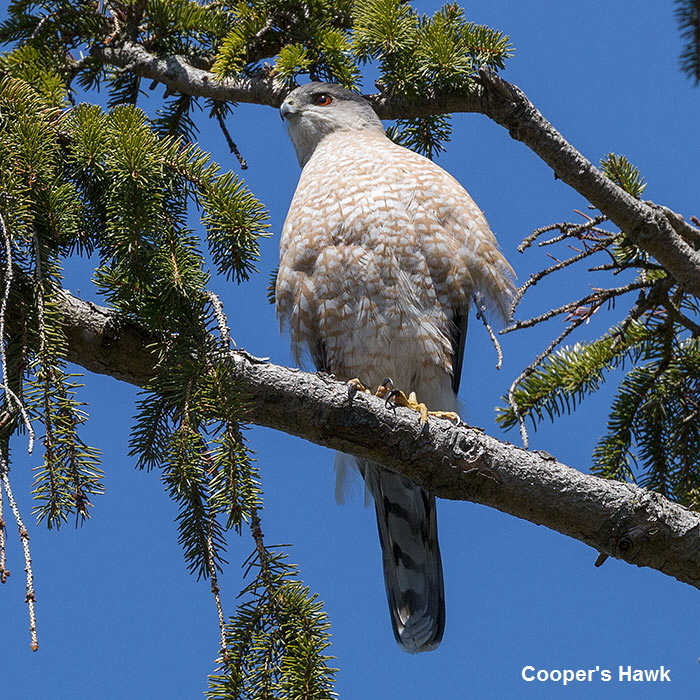 Many of the raptors we saw were very distant specks, but a Coopers Hawk perched obligingly for excellent views.